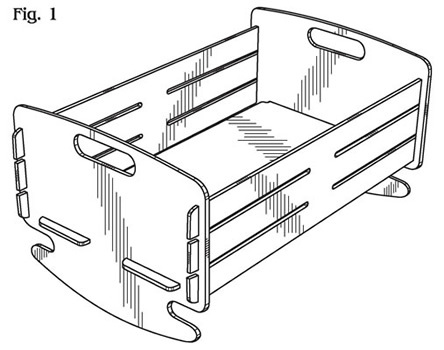 In this design patent, our patent attorneys secured design patent protection for a teddy bear rocking cradle. The product is currently being sold under the trademark Beddy Fur Teddy. 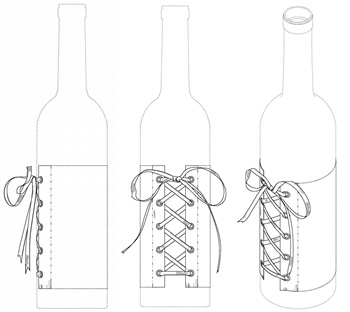 With this design patent, we secured design patent protection for a novelty bottle accessory. The patented design is currently being sold under the clever and delightfully provocative brand name Bottle Bustier. Note the selective use of solid and dashed lines to secure broad patent protection. 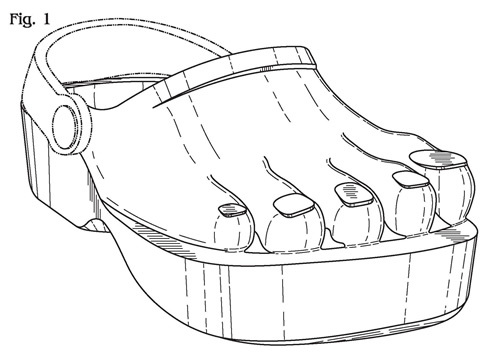 For this novelty shoe design, our patent attorneys secured a design patent for an Oregon patent client. When preparing the design patent application, our patent attorneys were careful to deliniate protected design elements from background features to broaden the patent protection awared to our client.